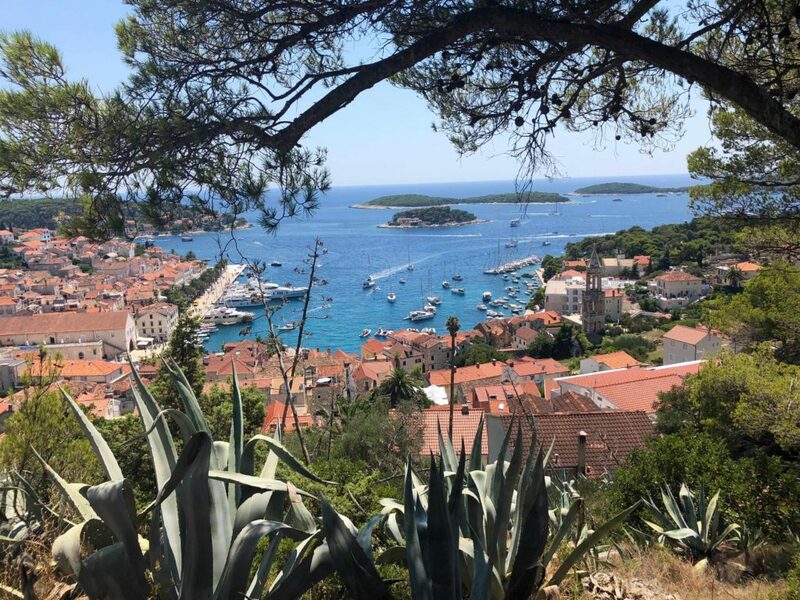 Hvar is a popular destination in Croatia and a great call for any trip to the Dalmatian Coast. 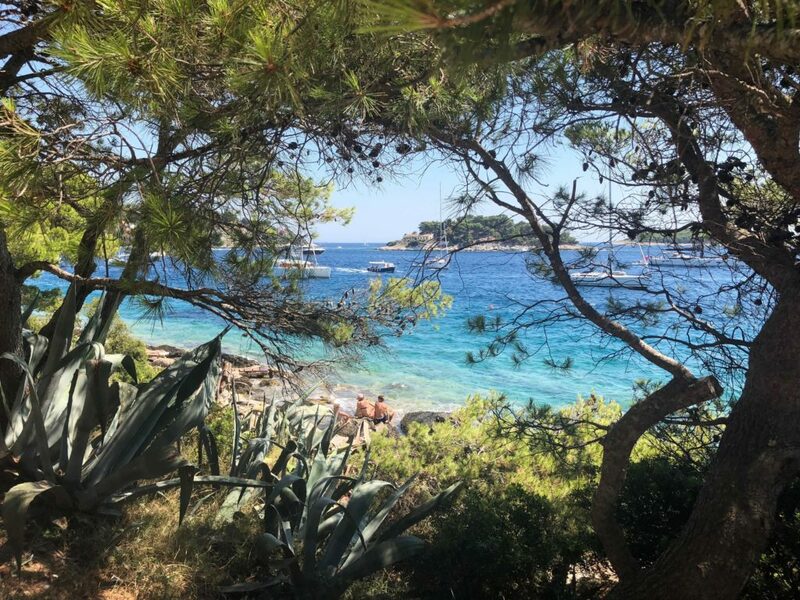 Here are my tips for how to day trip to Hvar! 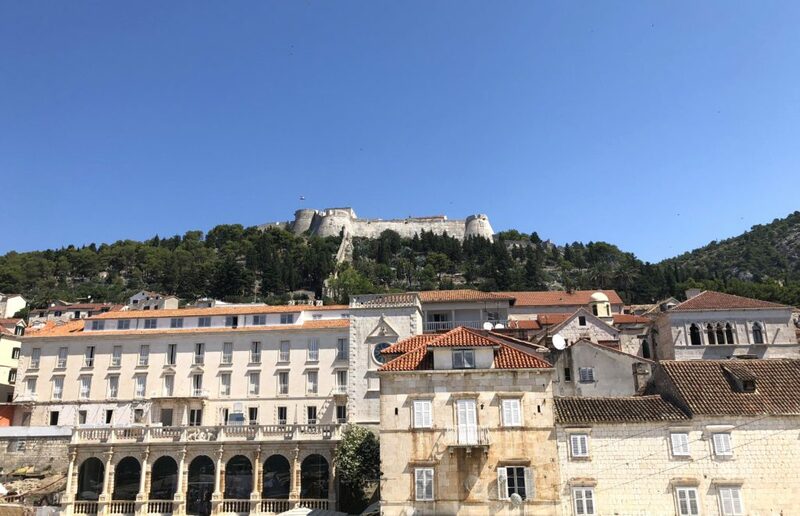 Logistics and Arrival: On our day trip to Hvar, we took a round-trip boat on the Jadrolinija line from Split to Hvar and back, leaving Split at 9:45 AM and departing Hvar at 4:10 PM. The boat ride was about an hour long each way. 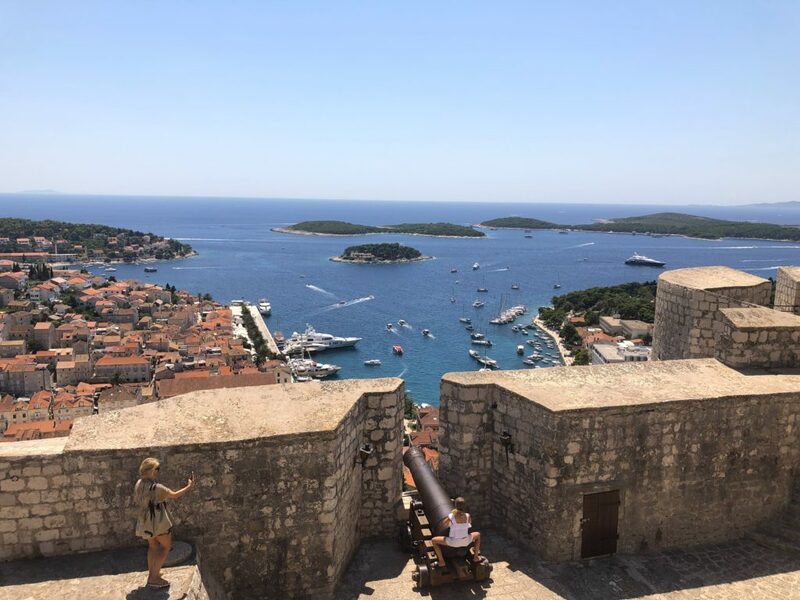 When looking into visiting Hvar, be mindful of the ports you’d be arriving at. 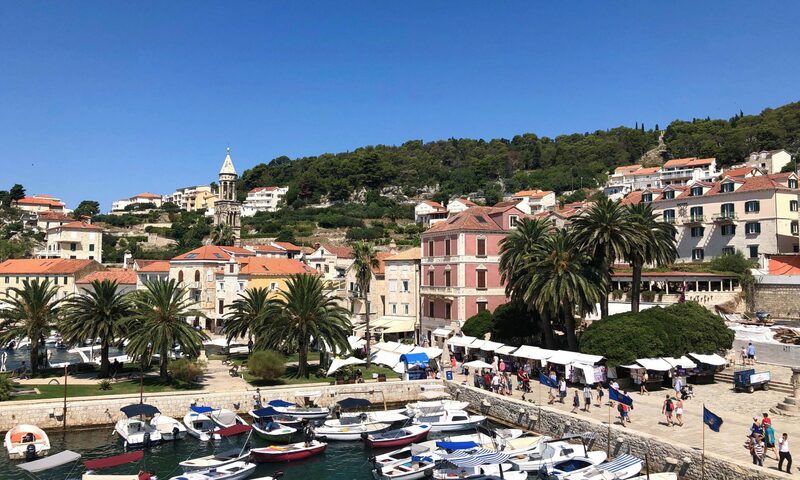 Hvar is the name of the entire island, but it’s also the name of the charming port city that is the island’s main destination, also referred to as Hvar Town. Other ports on Hvar Island include Jelsa and Stari Grad. I have not been to these ports, but they’re not where you want to go if you plan to day trip to Hvar Town. 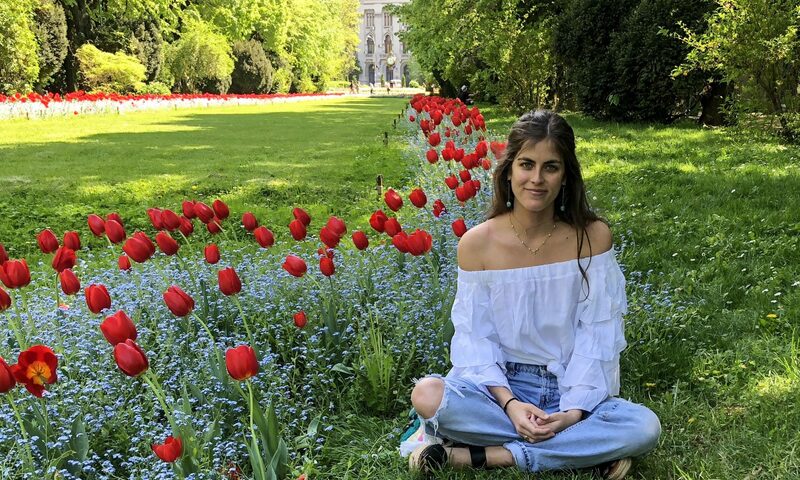 For more tips like these, see my post on planning a trip to Croatia. 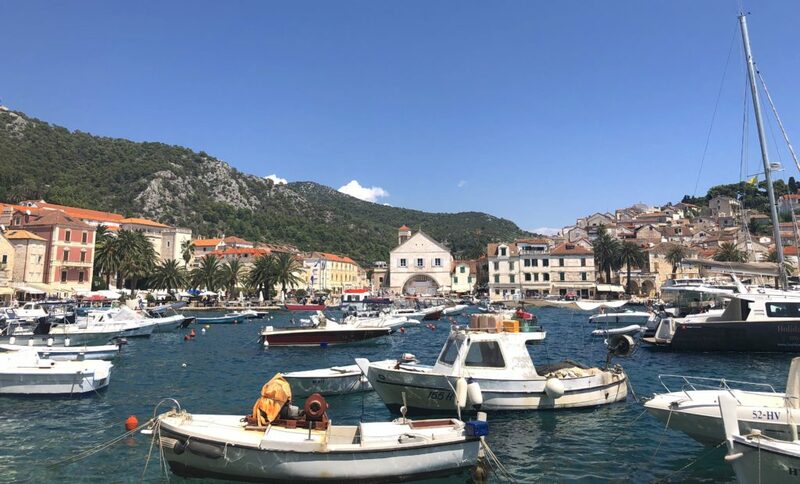 Upon arriving at the port of Hvar Town, I was immediately struck by its charm and beauty – it’s a feel-good place (probably in part because it’s one of the sunniest places on the planet!). 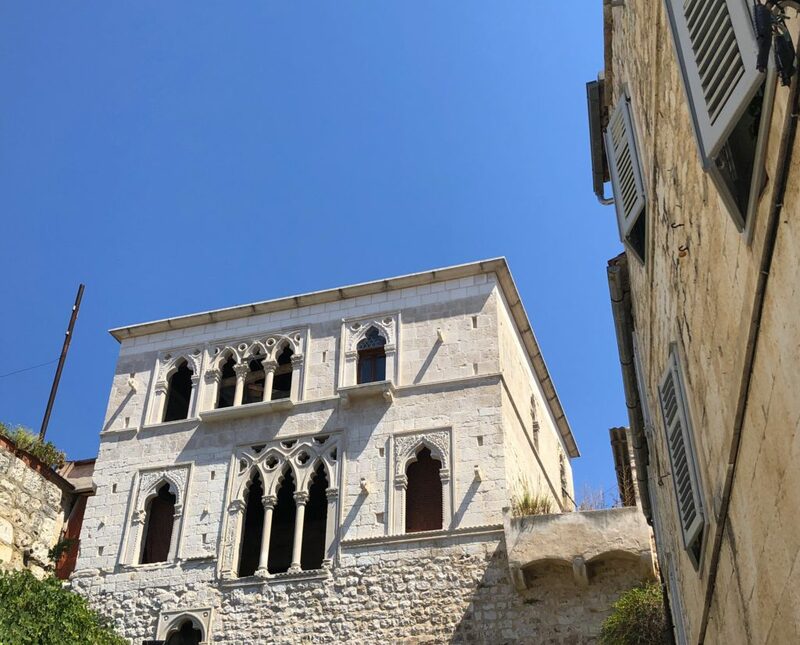 Based on my experience in Dubrovnik, which was unpleasantly overrun with tourists (we went in July 2018 aka peak season), I was worried about what to expect from our day trip to Hvar Town, said to draw tens of thousands of visitors a day in peak season – yikes! 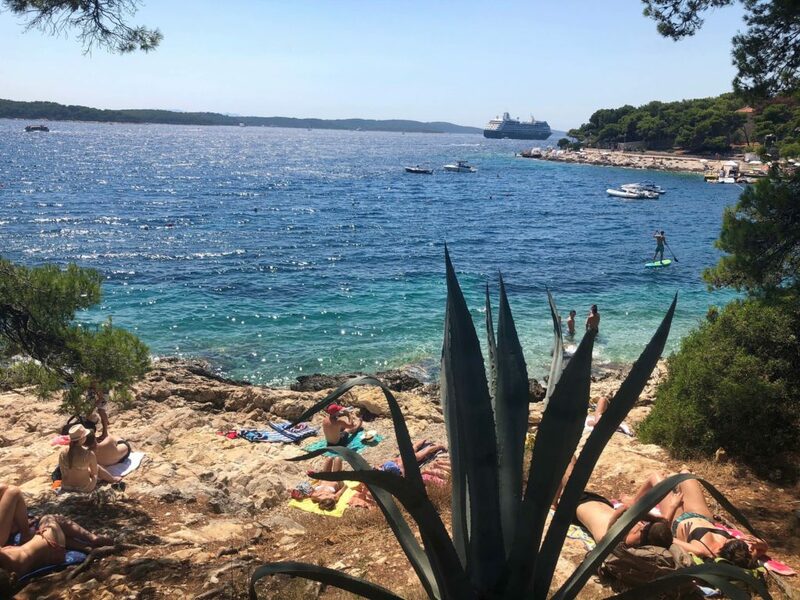 However, much to my relief, I did not find Hvar to be unpleasantly packed at all. 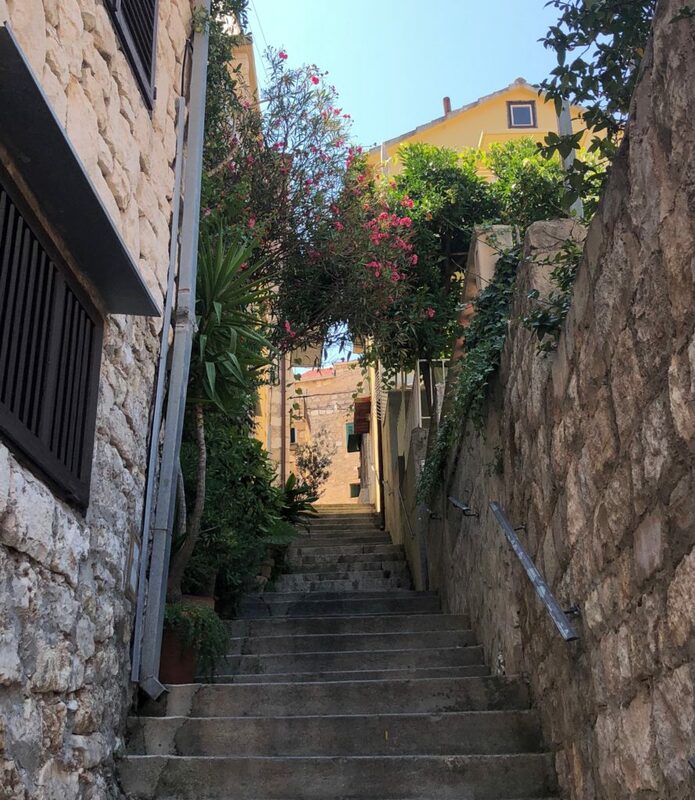 In fact, I got a lot more peace and quiet in Hvar, especially on the quaint backstreets, than in some other places in Croatia. 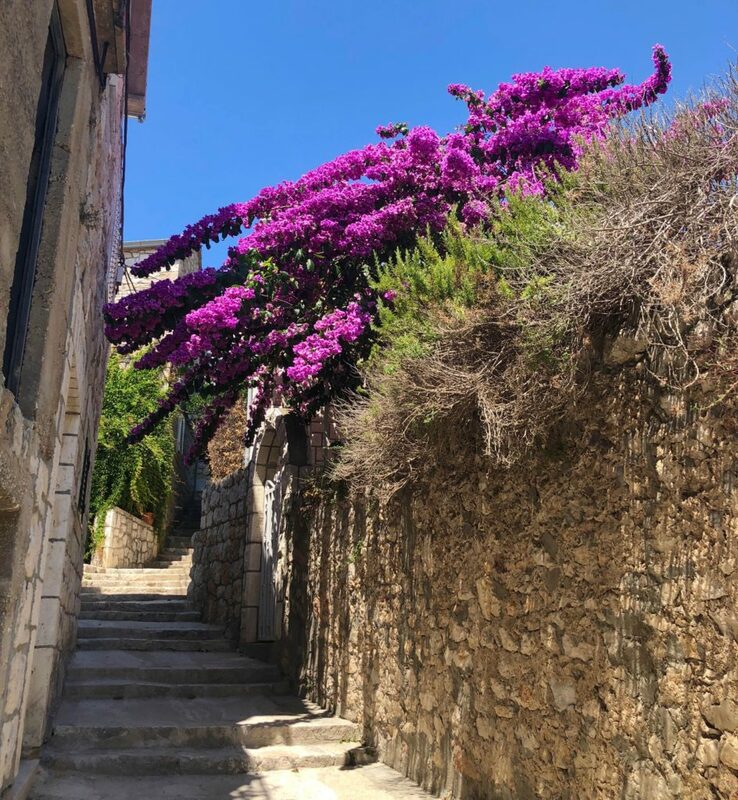 Speaking of backstreets, I would recommend starting off your day trip to Hvar by exploring them. 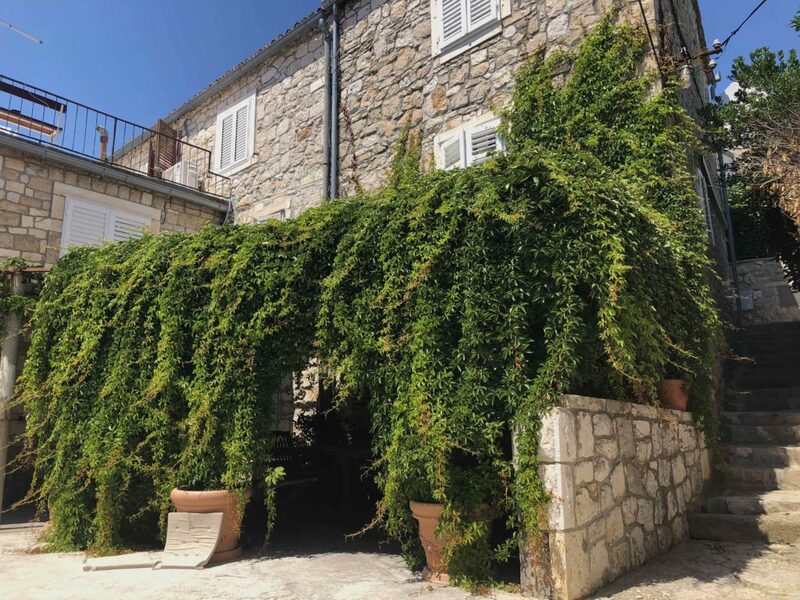 The tranquility, the surrounding views, and the picturesque stone walls make for the perfect way to get to know the real heart of Hvar. 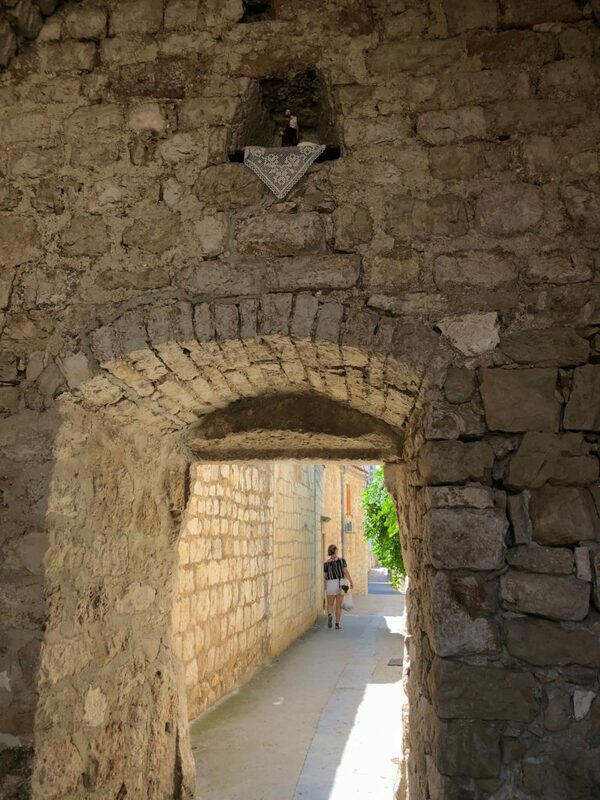 Make sure to take some time to meander through the backstreets on both sides of St. Stephen’s Square, as both areas have little gems. 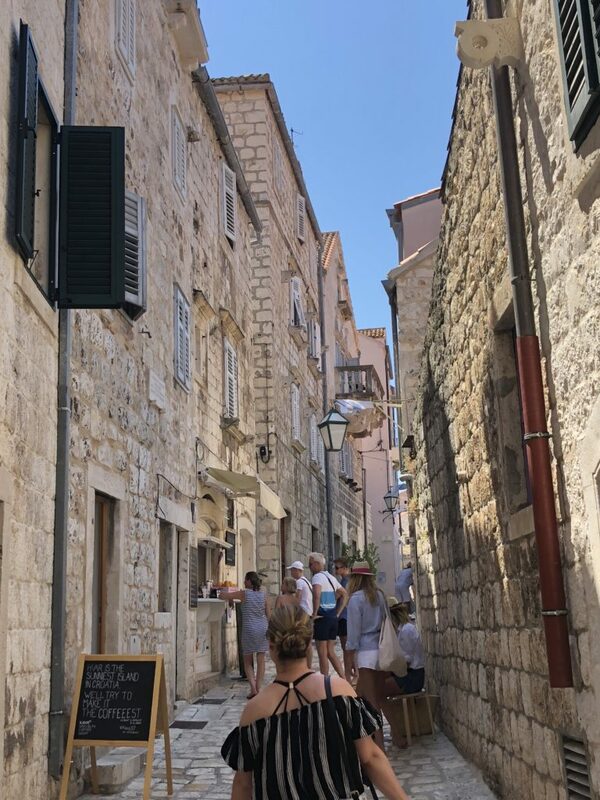 Enjoying the cute backstreets of Hvar! Once you’re done exploring the center of town, let yourself wander toward the Franciscan Monastery, right on the water. 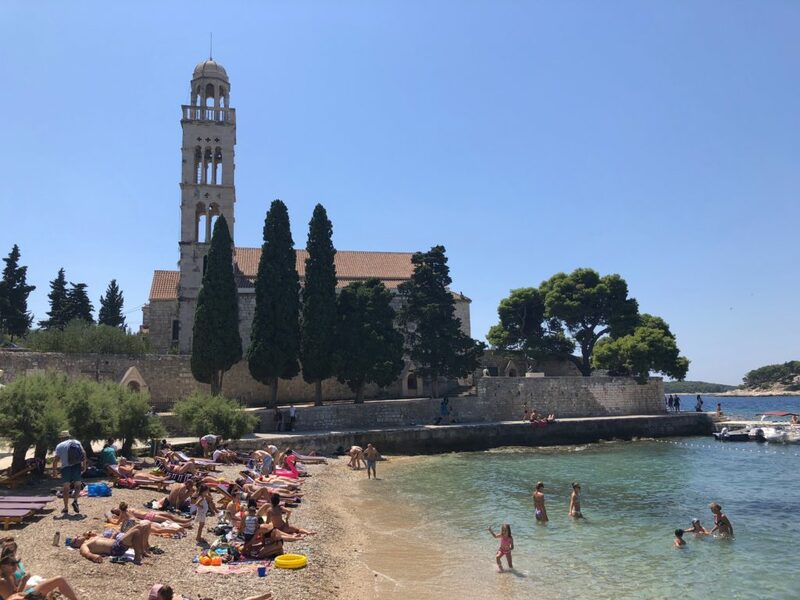 Many monasteries in Croatia were built on the water so as to allow the monks to contemplate God through the beauty of nature. 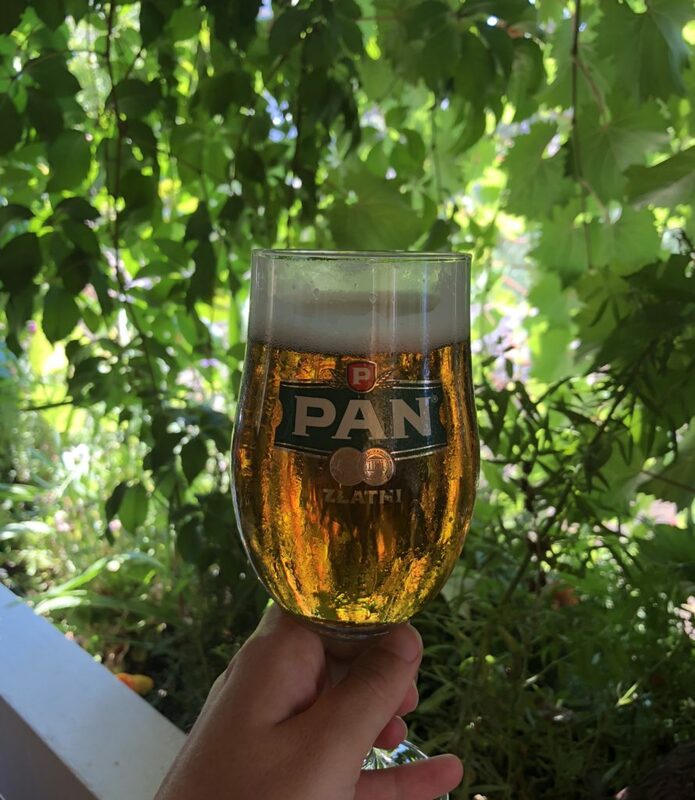 If you’re up for a meal or a beer under a patio of lush vines after your visit, head to the nearby Dordota Vartal. 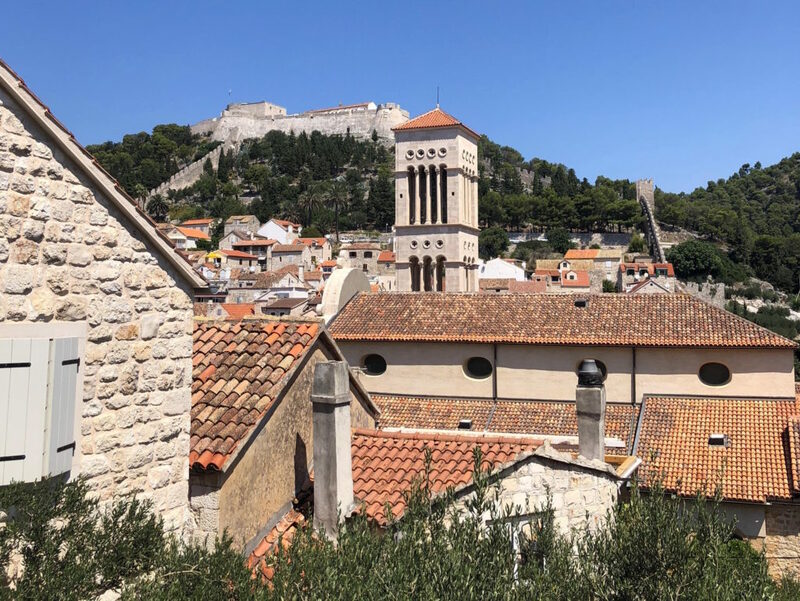 After becoming acquainted with the general layout of Hvar, pop into St. Stephen’s Cathedral – that is, if you’re properly dressed. 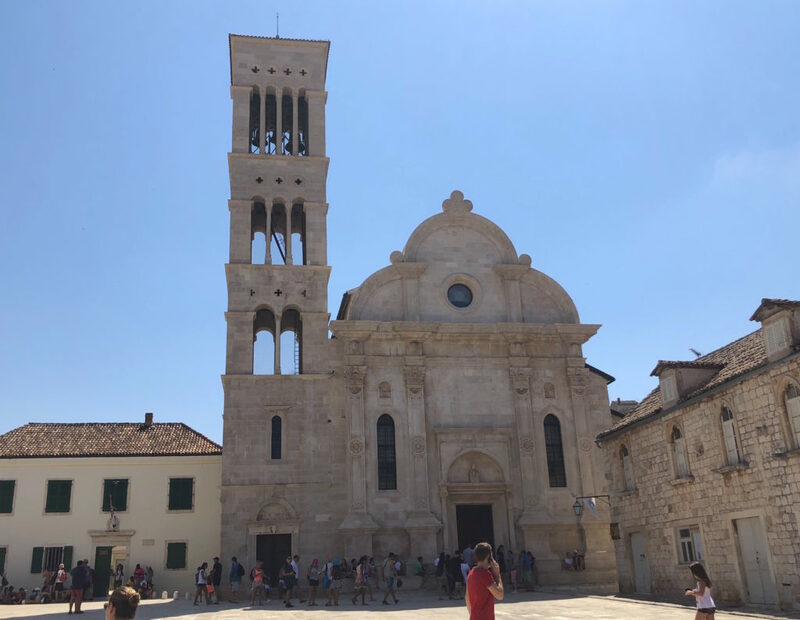 The rules for entering Catholic churches in Croatia are stricter than many other places I’ve been to; your shoulders must be covered, so you can’t enter with a tanktop and possibly not in a short sundress. If you can’t enter the cathedral, take a moment to appreciate it from the outside. Note the tower, which appears to become wider in shape toward the top as the amount of windows increases. Next, head up to the Fortica, or the Spanjola (Spanish) Fortress, for great views of the port. 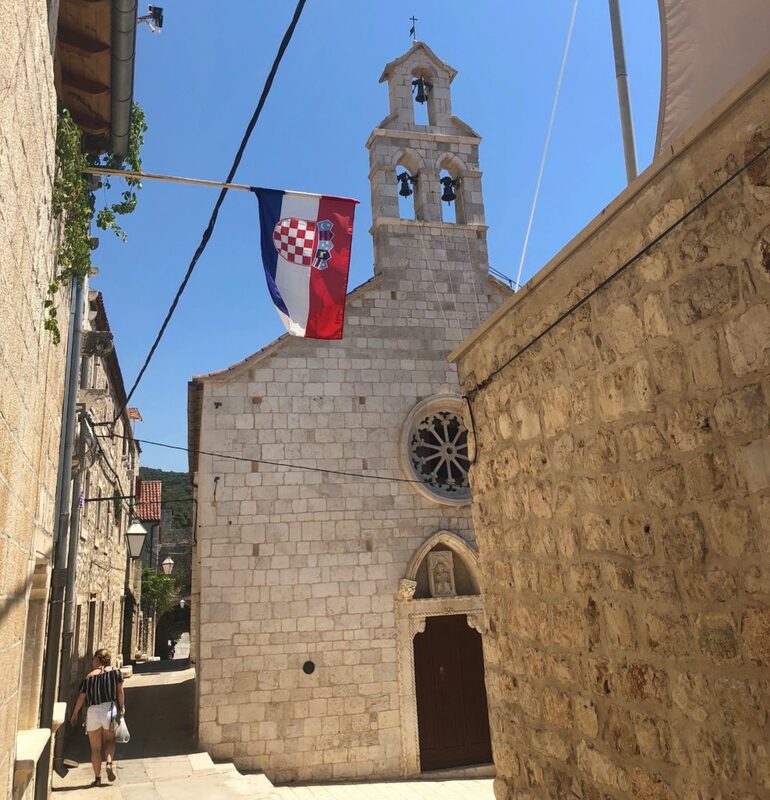 This is one of the main sights in town and something we really enjoyed on our day trip to Hvar. The path up is quite pleasant, winding through a kind of botanical garden that is lined with trees and plants. After getting some direct sunshine on top of the fortress, it’s time to cool off with a swim. Walk along the promenade of town to take your pick for a swimming nook on the rocky bay. The water is jewel-colored and transparent, yet slightly cold; however, you get used to it. Also look out for sea urchins all along the rocks! 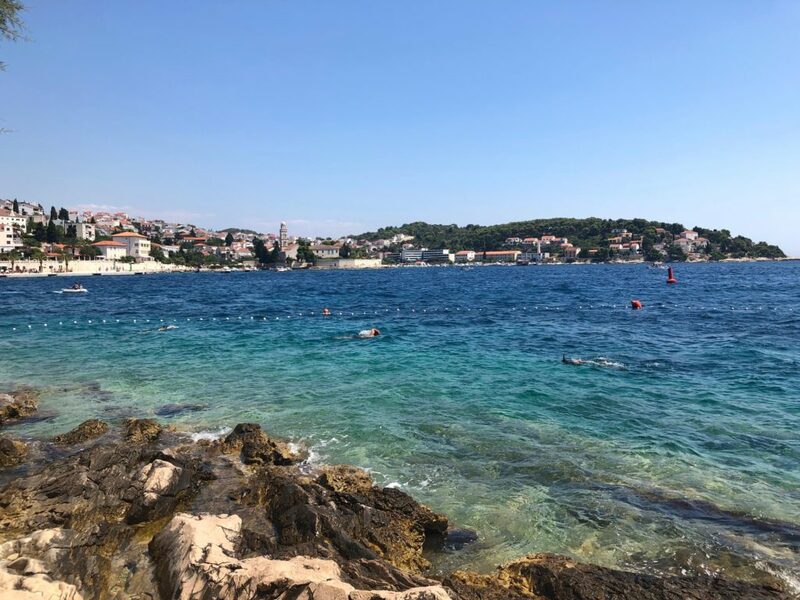 By this time, your day trip to Hvar may be winding down as you get ready to board the boat back to Split or your next destination. 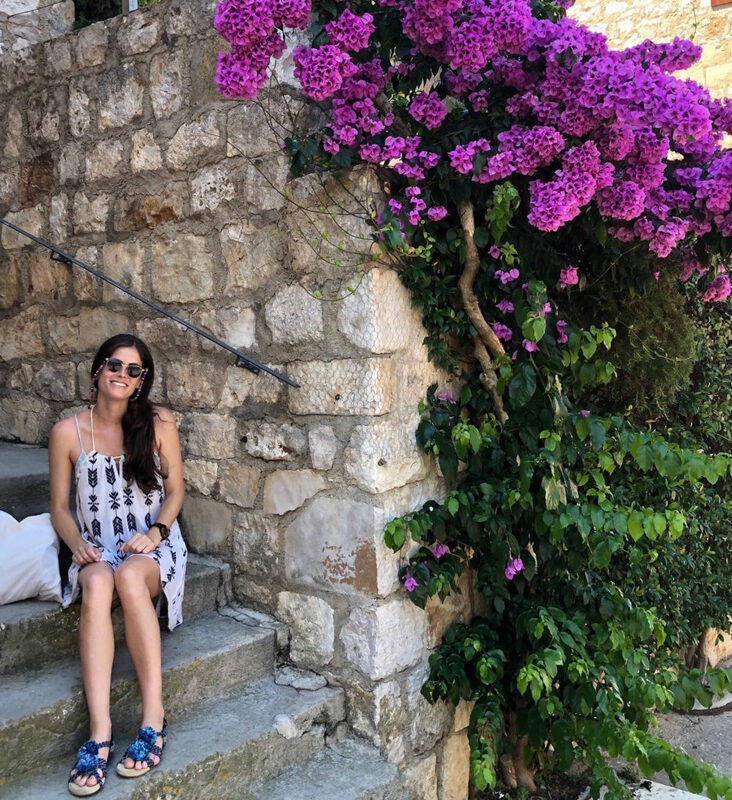 As you take a little break, enjoy a snack of lavender ice cream – I tried it for the first time in Hvar and it’s delicious! – or pop into a bakery for štrukli, a typical Croatian cream and cheese pastry that is savory and tasty. Although Hvar is well-known for its partying and nightlife, it’s also an ideal place for a one-day visit. 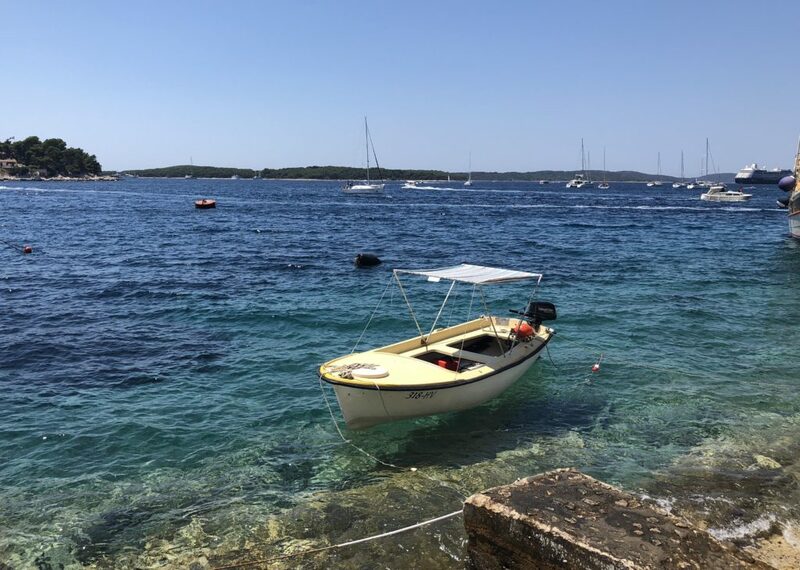 Enjoy your day trip to Hvar!